We’re going in a radically different direction with today’s Musical Advent Calendar selection, debuting the cover of a Christmas record yet to come. 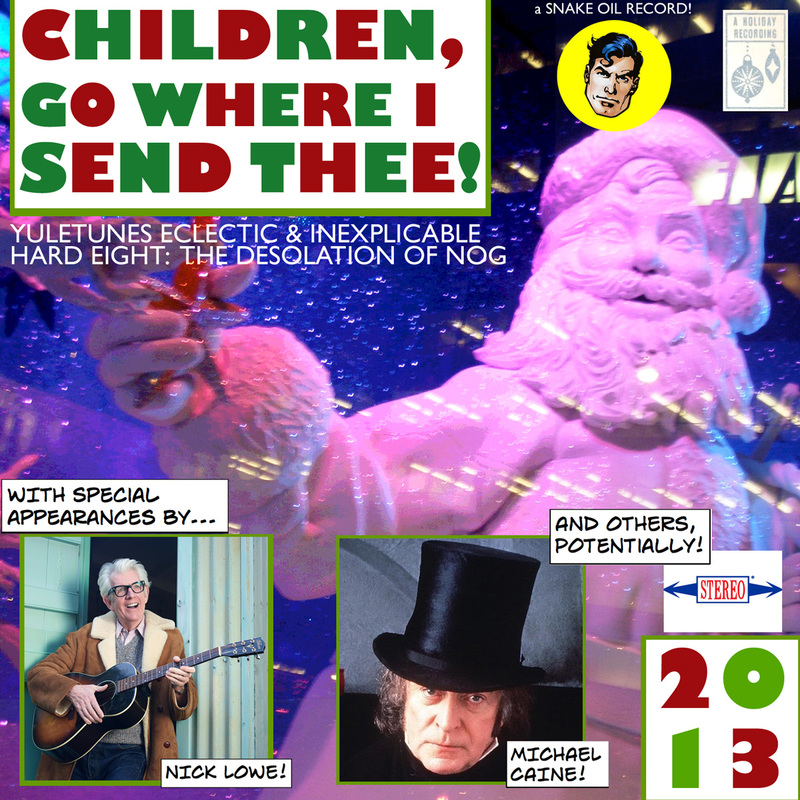 That would be the eighth in my unstoppable series of holiday mixtapes, Children, Go Where I Send Thee! Yuletunes Eclectic & Inexplicable Hard Eight: The Desolation of Nog. My only goal was to staunch the 2009-2012 trend of these things getting longer each year — last year’s installment weighed in at a truly obnoxious 130 minutes, only two minutes shorter than the classic holiday movie Die Hard. Which is not to say I wasn’t proud of the goddamned thing. I was. Anyway, that grand ambition of brevity flowered only, uh, briefly. When it drops in a week or so, my new yulemix will be another feature-length epic to comfort and amuse you through your car trips, your long layovers, and your interminable sleepless nights of loathing and regret. I think you’ll really dig it. Merry Christmas! This entry was posted in music and tagged album covers, Christmas, Die Hard, musical advent calendar, yulemixes, yuletunes, yuletunes eclectic. Bookmark the permalink.